It’s weird how in the summer 38 degrees seems so cold, but in January it feels balmy. 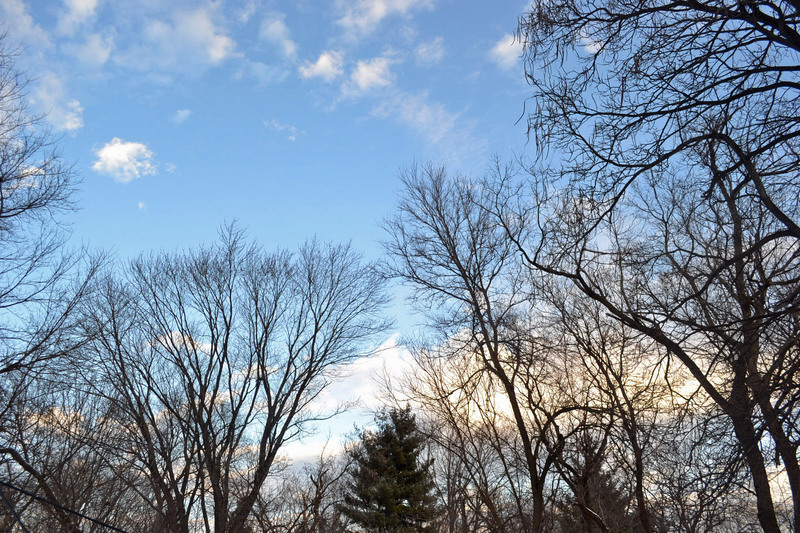 It was a gorgeous morning – nothing but blue skies and puffy clouds. I did not wake up to go to the gym yesterday morning. I’d like to say its because I stayed up to help Tony who had a rough night – he was up and down over a dozen times – even one time losing his footing and fell into the door – and I never heard a thing or woke up. 😦 I bet if there was a fire in my house I would sleep through it! 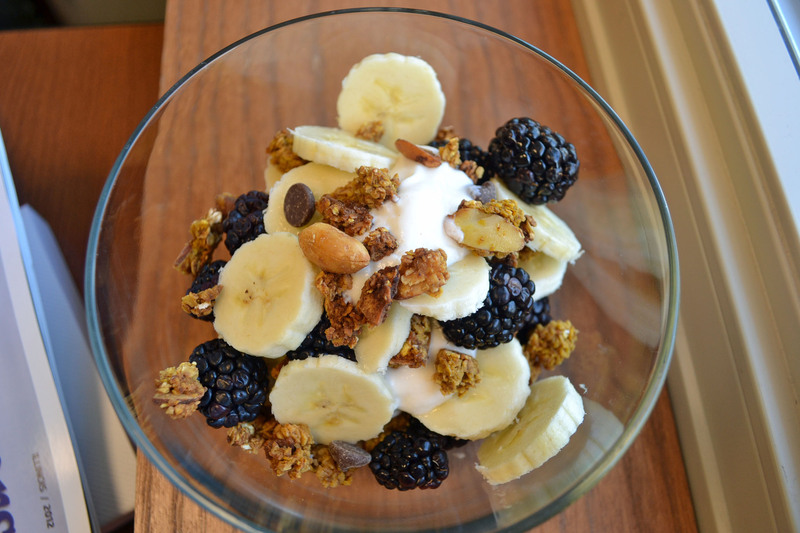 Breakfast was delicious – I was thinking of this all weekend when I bought the giant blackberries at Sam’s Club last week – blackberry banana yogurt parfait: 1 cup Greek yogurt (3), 2 ounces of granola (6), banana (0), blackberries (0). This whole bowl of greatness was 9 points and super filling. I checked the weather around 11:30 and was thrilled to see that it was 43 degrees! 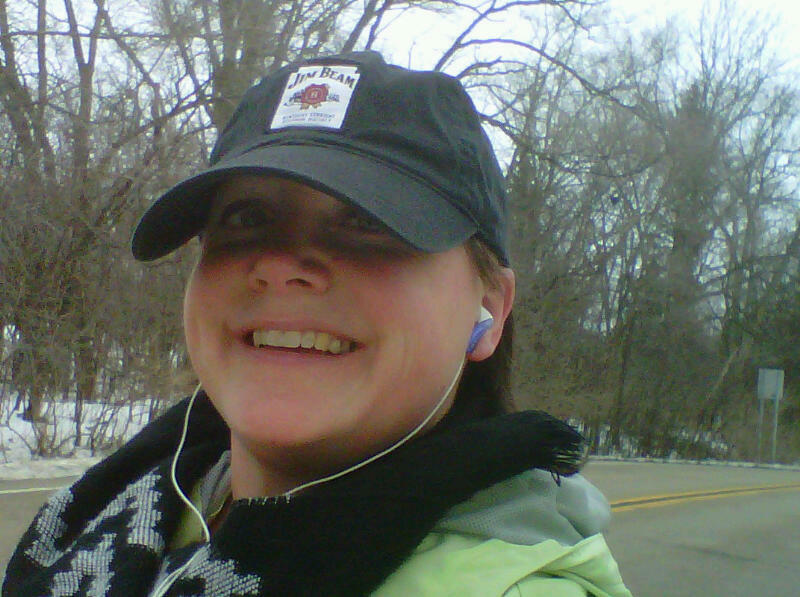 I changed my clothes and hit the road – 7 minute warm up, then did a 5k with my run a song/walk a song method. I ended up doing 3.2 miles in 41 minutes – not too bad! My hope is to start building up my running stamina, and maybe next week run two songs, walk one, etc. 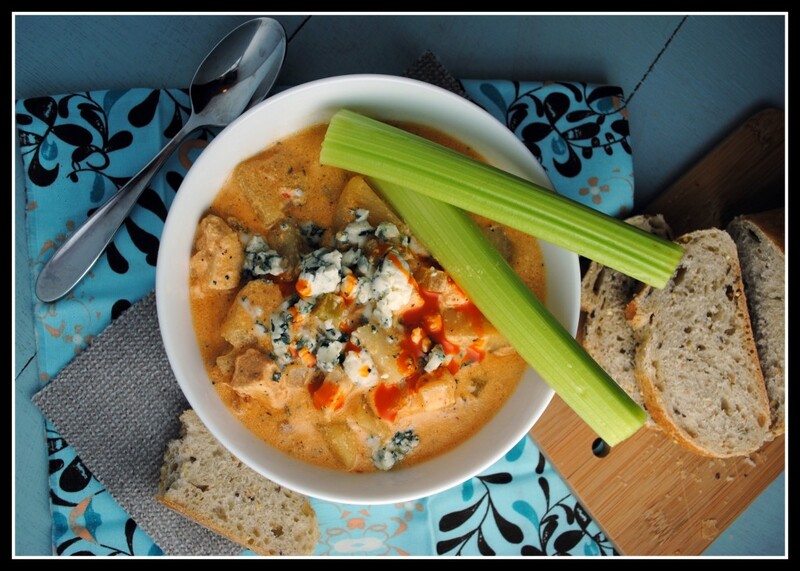 If you are a food blog reader like me, you know that sometimes you see a recipe and you are like “I need to make that.” “Like now.” “Like right now!” That’s what I thought when I saw Nicole’s Buffalo Chicken Chowder. You know how I love Frank’s hot sauce and when I read that the recipe called for 1/3 of a cup, I was in! But I did tweak it just a bit. Her original recipe came in at 9 Points for 1.5 cups. My version is 7 points for 2 cups. blue cheese crumbles for topping (optional, you will need to add points if you do. 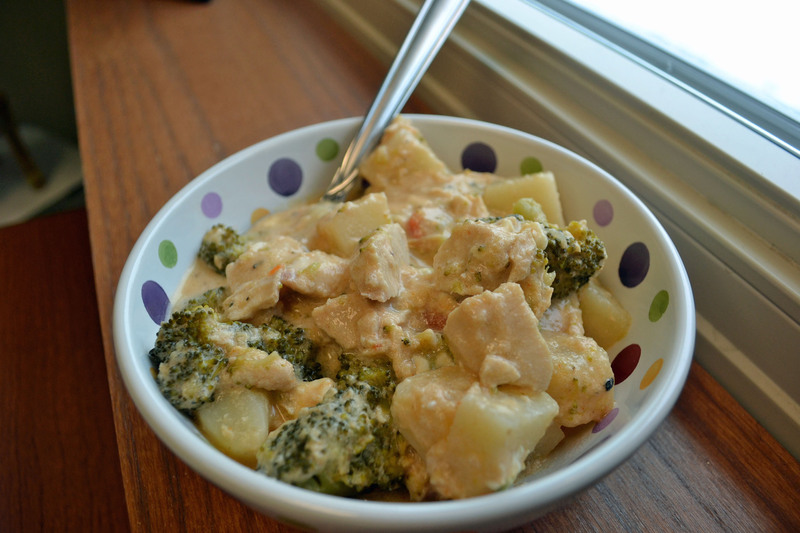 Since I am lazy, I threw everything in the crock pot except 1/2 a cup of the chicken broth and the flour. I added the flour to the chicken broth, mixed well, then added it to the pool. I cooked on low for 10 hours. I ended up adding the broccoli during the last hour – it really only needs about 15 minutes to still be bright and tender crisp. Still delicious! Heat a non-stick pan with Pam, add ground beef and garlic and cook until no longer pink. Add in the spinach, salt, pepper and crushed red pepper and cook until the spinach wilts. 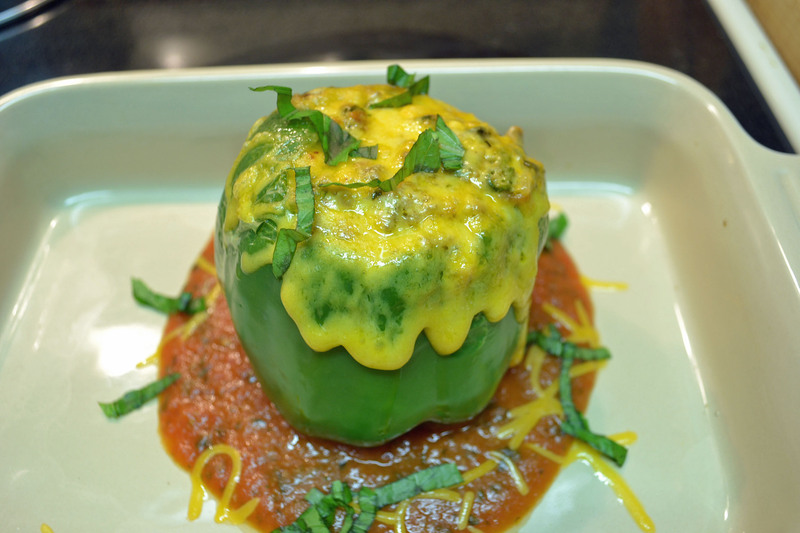 Remove from heat and add in the marinara sauce and ricotta. 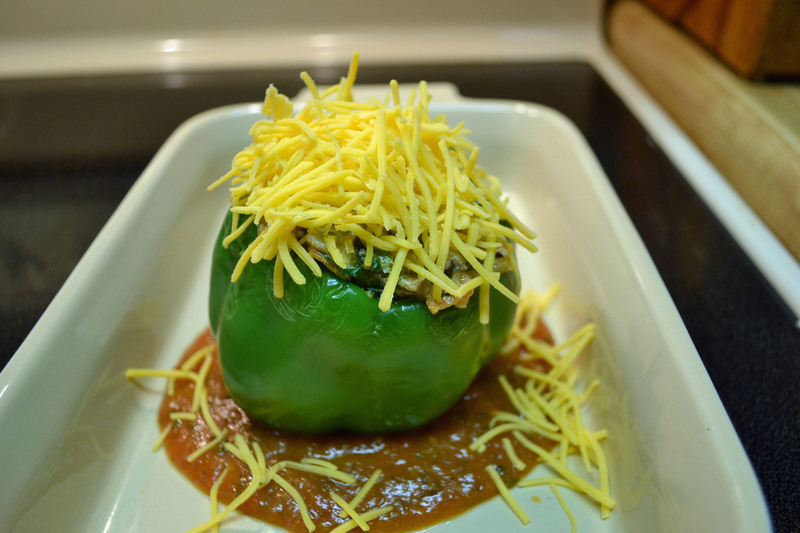 Stuff the pepper and add the mozzarella cheese on top – finish under the broiler until the cheese is nice and golden and melty. I loves melty cheese! If you have time, check out this super creative post for easy banana pudding cake – I wish I could be as creative with my photography!